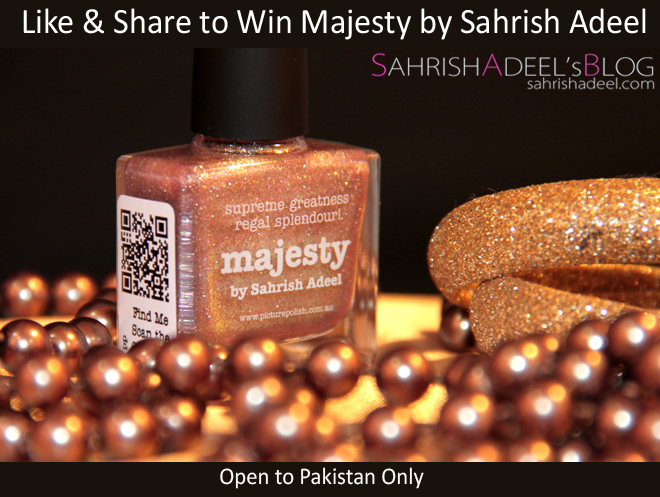 WIN Majesty by Sahrish Adeel - Open to Pakistan only | Sahrish Adeel - Malaysia based Pakistani Beauty & Lifestyle Blogger! If you have been reading my blog for some time, you would know that Picture Polish & I launched a shade named Majesty in January, 2013 which eventually became a permanent collection item. If you want to win Majesty, click anywhere on this text and participate. Ending on 15th of April.